Australian Citizenship Day is celebrated each year on 17 September. Australian Citizenship Day is a special day to reflect on and celebrate being an Australian citizen. Australian Citizenship is more than a legal status. It is our common bond that represents our shared democratic beliefs and gives us a sense of belonging and pride in our achievements as a nation. All Australians are encouraged to value their Australian citizenship and the contributions that citizens make in shaping the nation. Active citizens strengthen Australia by working to improve their local community. In 2001, Australian Citizenship Day was launched to increase community awareness of Australian citizenship. 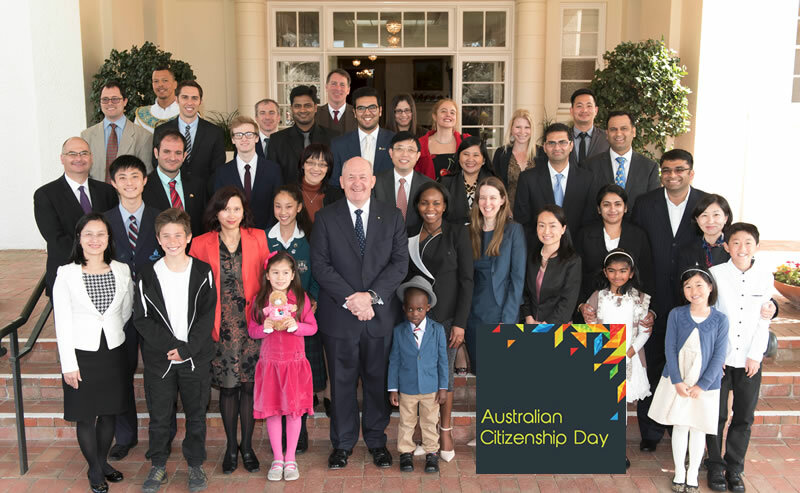 Australian Citizenship Day now provides a main point for citizenship-related activities and celebrations. It was introduced as a result of a recommendation by the Australian Citizenship Council. The 17 September was chosen because it is the anniversary of the renaming of the Nationality and Citizenship Act 1948 to the Australian Citizenship Act 1948. Many Australian citizenship ceremonies are held on Australian Citizenship Day to mark this special occasion. In 2013, over 2,200 people became Australian citizens at over 46 ceremonies.